Jackie would like to let you know that her work here is done. She received a call, an offer you can’t refuse, for an assignment from which she will not be returning. This assignment comes with a huge sign on bonus – a reunion with family and friends that she had not seen in a long time. Her new mission takes her to a wonderful place where she will be socializing, dancing and singing to her heart’s content. Music, laughter and love are guaranteed. The food is delicious and you never gain an ounce. She left instructions for her family and friends to celebrate her mission here which has now been completed. We want to let her know that she did a great job and wish her a safe journey. We will remember her smile, her warmth, her energy and her love for family and friends. Jackie Ruth Robin-Davidson was born May 12, 1937 in Blair, Oklahoma. 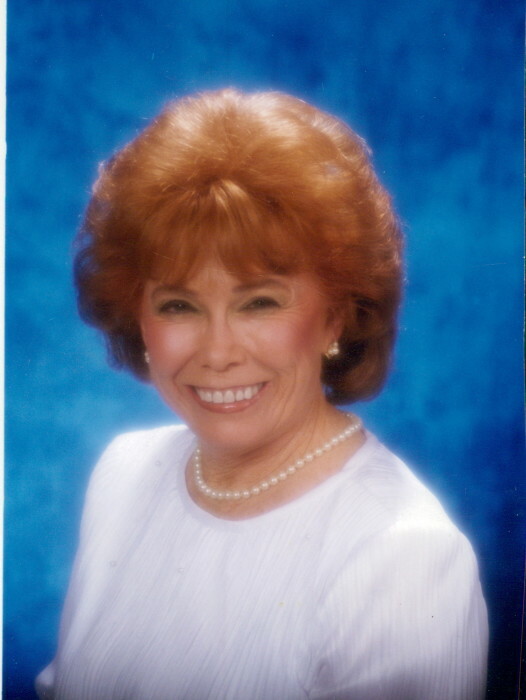 She passed from this life on Saturday, March 23, 2019 at Carlsbad Medical Center. Jackie is survived by her son, Don Winters and wife, Renae; son, David Winters and wife, Yvonne and son, Rick Madrid; grandchildren: Lori Hehn and husband, Kelly, Lisa Winters and husband, Matt Wilkinson, Chance Winters and wife, Sarah, Chase Winters and wife, Amber; great-grandchildren: Whitney and Aubrey Hehn, Owen Wilkinson, Morgan, Hannah, Gunner, Daisy, Laci and Colton Winters and many extended family members. She was preceded in death by her parents, Dora and Ada McElroy; two sisters; one brother and her youngest son, Dale Winters. Jackie’s family would like to thank Lakeview Christian Home for all of your love and attention you gave to our Meme during her time as a resident there. You were a blessing to her and to us, her family.